I give you the Czechburger. 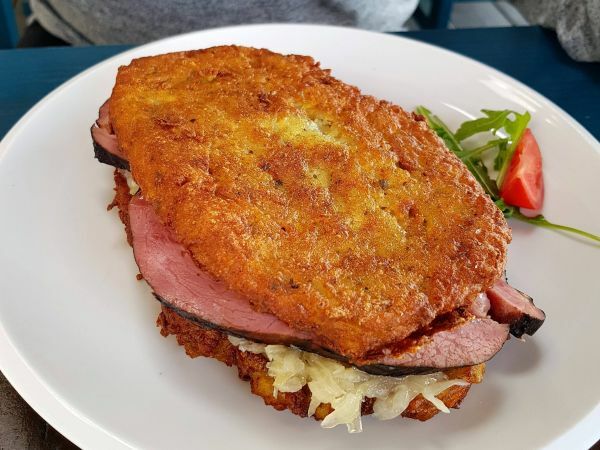 Two potato hashbrowns with garlic and marjoram enclosing sauerkraut and smoked pork shoulder blade. Oh, and veggies on the side, so it's considered a fit meal.